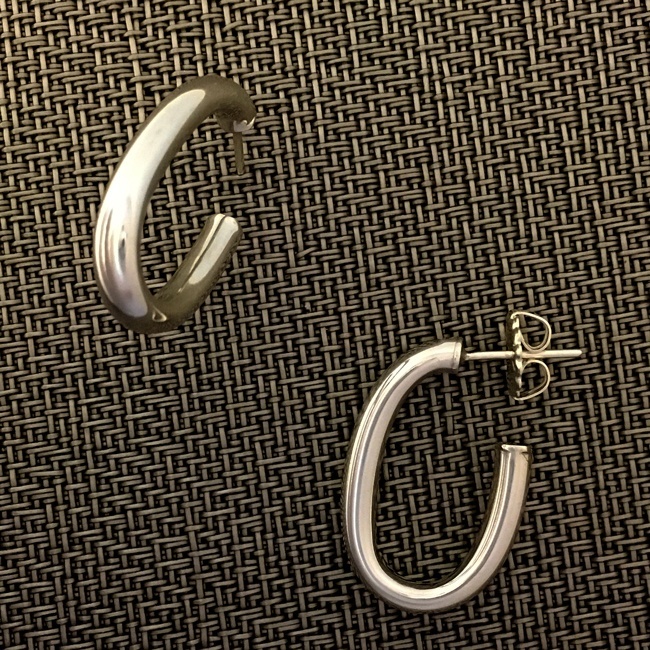 These “J-hoop” sterling silver earrings measure about 1 ¼” long, and ¾” wide. 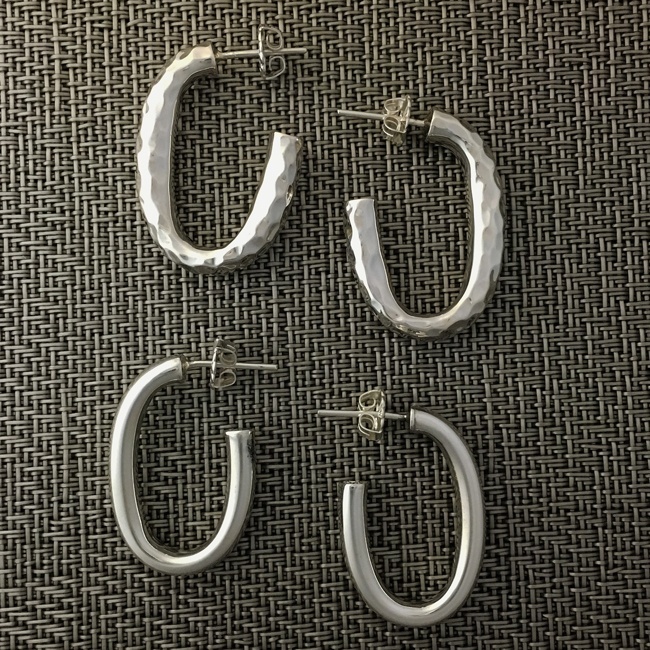 The tubular silver looks dramatic, yet it’s feather weight! We now make these in either smooth, or hammered finish.